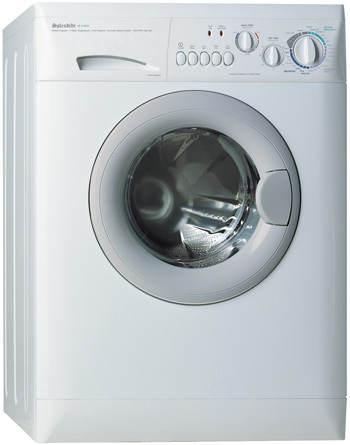 The Splendide 2100XC vented Washer/Dryer saves space, goes from wash to dry automatically, and has an oversized drum that accepts the biggest loads of any appliance of it's kind (up to 27% more than competitors). Extra-capacity drum washes 20% bigger loads then dries them up to 35% faster. Washes up to 15 lbs. of laundry; dries up to 11 lbs. Redesigned vented drying system dries laundry up to 35% faster than previous models. LEDs display up-to-the-minute cycle status. Larger 11 1/2" dia. door opening makes loading and unloading easier. Heavier-duty internal components add durability for RV or marine use. Silent, brushless AC motor makes this the quietest RV washer/dryer combo available today. Unique Add-An-Item feature lets you add laundry during the cycle. Fits easily into cut-out space of previous model yet weighs 13 lbs. less. 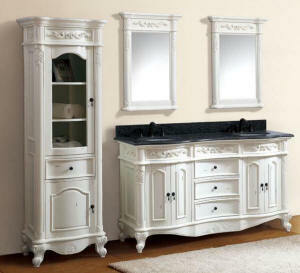 Unit dimensions are 33 1/8"H x 23 1/2"W x 23 3/8"D. Available in White or Platinum finish. Motor Freight Ground Shipping: $265, extra. 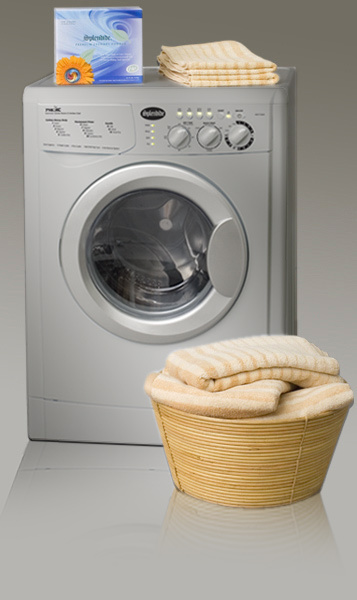 Splendide combo washer-dryers and stackable laundry sets are the only laundry centers designed specifically for mobile travel and with RV manufacturers, dealers and consumers in mind. Preferred in the RV industry since 1984, Splendide washer-dryers can be found in quality motorcoaches, luxury buses, towables, and fifth-wheels across North America. Don't waste another minute or dollar at the laundromat. With Splendide, simply throw a load in, set the controls, and relax. 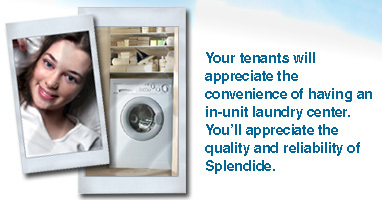 Splendide does the rest - adding detergent, bleach, and softener right when they're needed. Not only do Splendide washer-dryers save space while washing fabrics better and gentler, but they also provide increased load capacities, higher spin speeds, quieter dry cycles, added weight savings, and more energy and water savings than ever before - enhancing your traveling lifestyle by allowing you to clean and dry laundry in the security and privacy of your own vehicle. As an RVIA and FMCA member, Splendide is present at rally's and industry trade shows throughout the year to talk directly with our customers. Every Splendide Laundry Center is backed by an insured Limited Parts and Labor Warranty contract extendable up to 5 years. 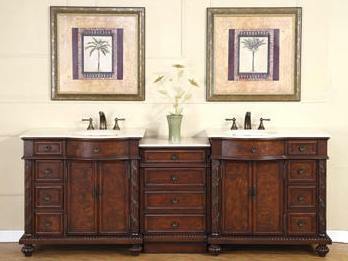 And, for your convenience, Splendide has qualified service centers located throughout the U.S. and Canada. 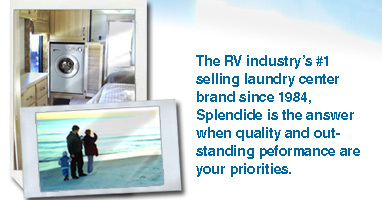 With all these benefits, it's no wonder that every year since their introduction to the RV market, Splendide Laundry Centers have outsold all other brands in their class - combined. 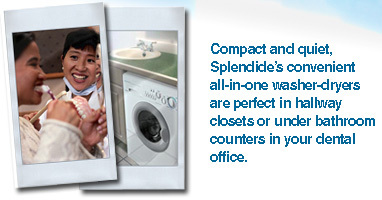 Splendide Laundry Centers introduce security, privacy, and convenience to your cruising life style. 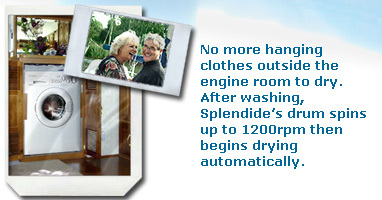 The preferred laundry center of the Marine leisure industry since 1984, Splendide washer-dryers can be found in motor yachts and sailing vessels around the world. Many yacht and sailboat lines already provide a space for a washer-dryer appliance and include an easily-cleaned vent lines in their design. 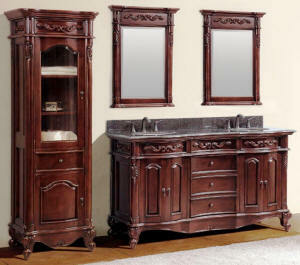 However, for boats that do not, Splendide also offers Comb-o-matic (ventless) models that dry without a vent. 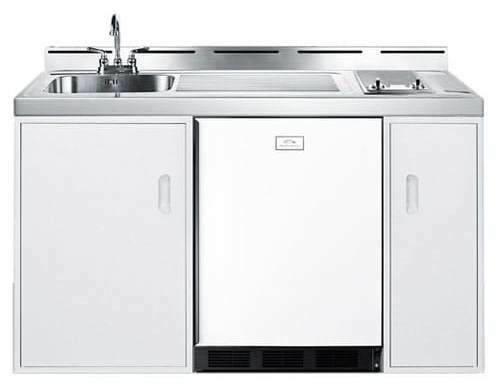 Moreover, Splendide Laundry Centers are designed for mobile travel and include heavy-duty shock absorbers and springs for absolute minimum movement and vibration. Each model has been tested by Underwriters Laboratory (UL) and the Canadian Standards Association (CSA) and meets requirements for built-in, closet and alcove installations. Not only do Splendide washer-dryers save space while washing fabrics better and gentler, but they also provide increased load capacities, higher spin speeds, quieter dry cycles, added weight savings, and more energy and water savings than ever before - enhancing your traveling lifestyle by allowing you to clean and dry laundry in the security and privacy of your own vessel. Today, faced with a sizeable influx of competition and the urge to create the ideal living environment, Splendide knows that most property management groups, apartment owners and managers are searching for new ways to not only retain but obtain tenants. 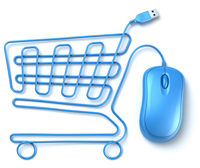 As an experienced supplier and reliable business partner, our goal is to assist you with this value added strategy. Engineered to fit in a 24" wide space, Splendide all-in-one washer-dryers, fit into small apartment settings much easier and more cost effectively than larger, traditional clothes washers and dryers. Since 1984, Splendide has helped property management groups, hotels, and resort owners overcome the space, venting, and drainage issues they may face in their new or retrofitted complexes. Our ability to apply the right product to meet your need is proven. As a modern dental professional, you strive to provide a clean and sterile work environment as well as comply with standards for handling of your contaminated laundry. Many dental professionals rely on third-party companies to meet all of their laundry needs. However, most laundry service companies only pick up garments once a week. Since 1984, Splendide Laundry Centers have given practicing dentists like you a safe and reliable alternative to having every worn, non-contaminated, garment picked up and then brought back by a cleaning service. Splendide combination washer-dryers are compact and easily adapted to a dental setting. The machines are amazingly quiet and fit into areas as small in size as a domestic dishwasher. Each model has been tested by Underwriters Laboratory (UL) and the Canadian Standards Association (CSA) and meets requirements for built-in, closet and alcove installations. We offer both vented and non-vented models for flexible placement within your office. With Splendide Laundry Centers, you'll enjoy the convenience of laundering your non-contaminated smocks and towels in-house and as needed. But the convenience is only half the benefit: our washer-dryers are cost effective, environmentally friendly, and will reduce laundry overhead significantly.